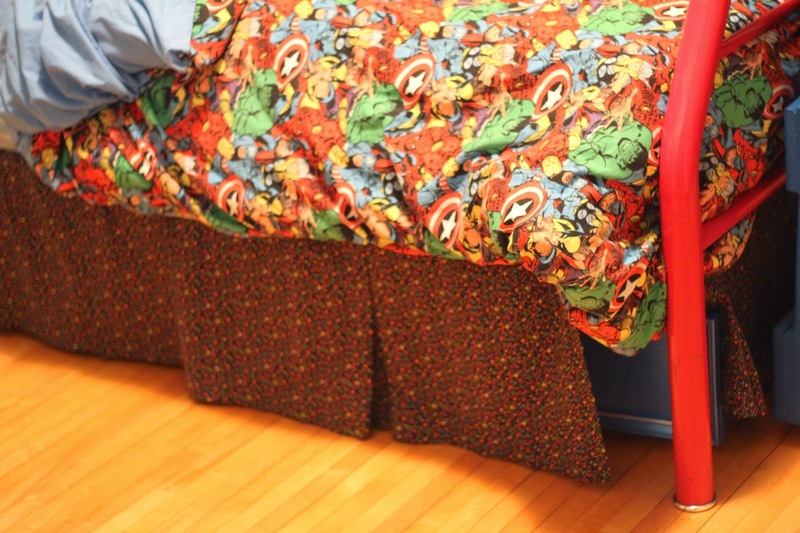 Remember here, when I showed you how I created under bed drawer storage for Mur-Man. 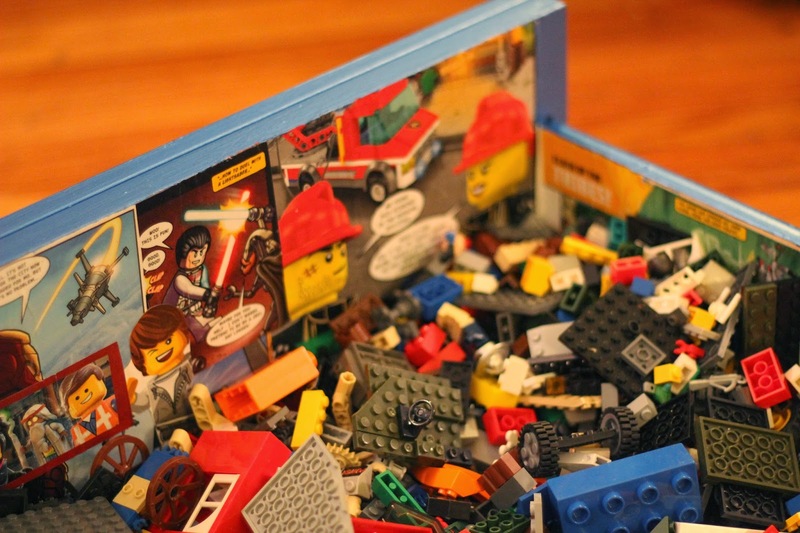 I walked you through the instructions and process. 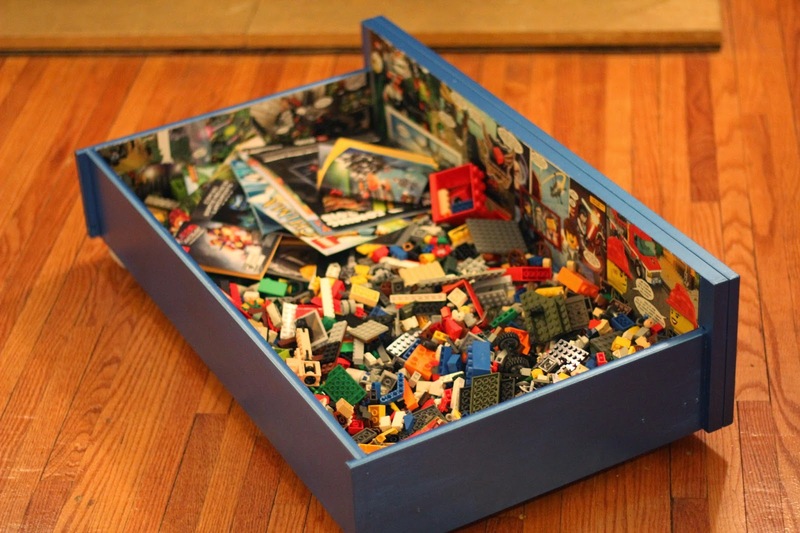 I was back at it again, but this time I wanted to create a Lego storage drawer for Mur-Man. 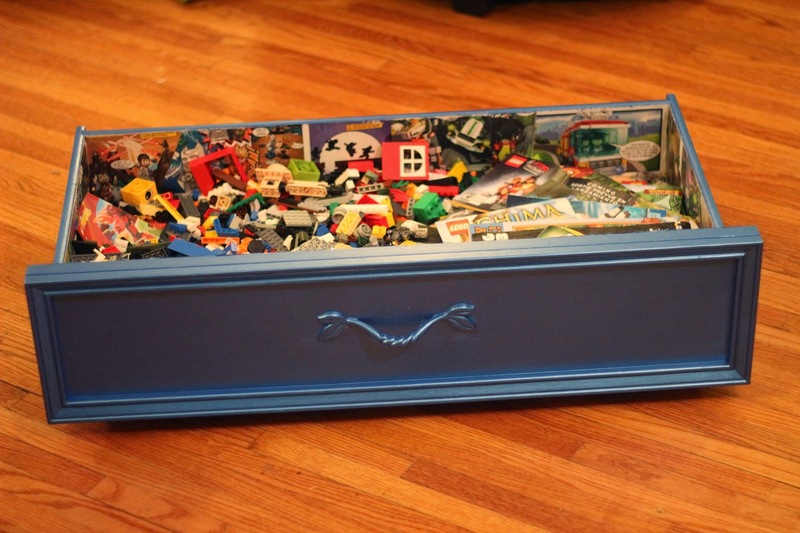 Instead of using fabric for the inside of the drawer, I used Lego magazine pages. Honestly Modge Podge works fabulously on magazine paper. 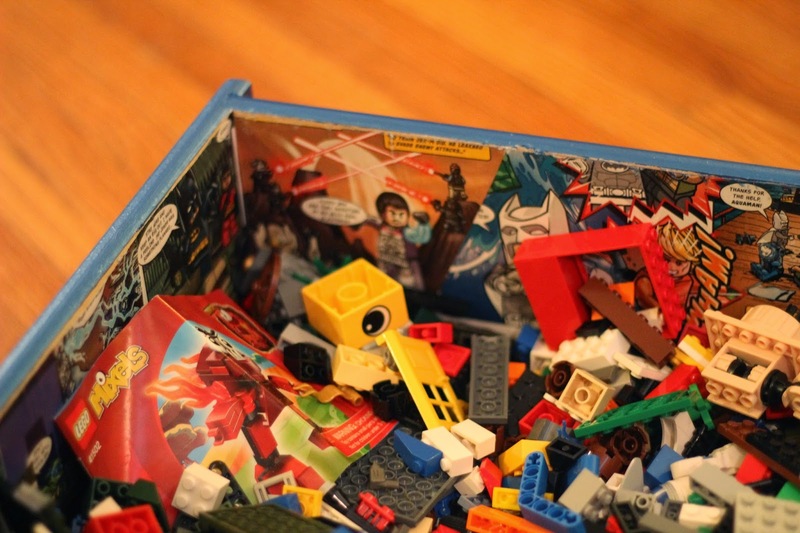 Because I already had the Lego magazines, this project cost me $3.00 AGAIN! So thrifty! 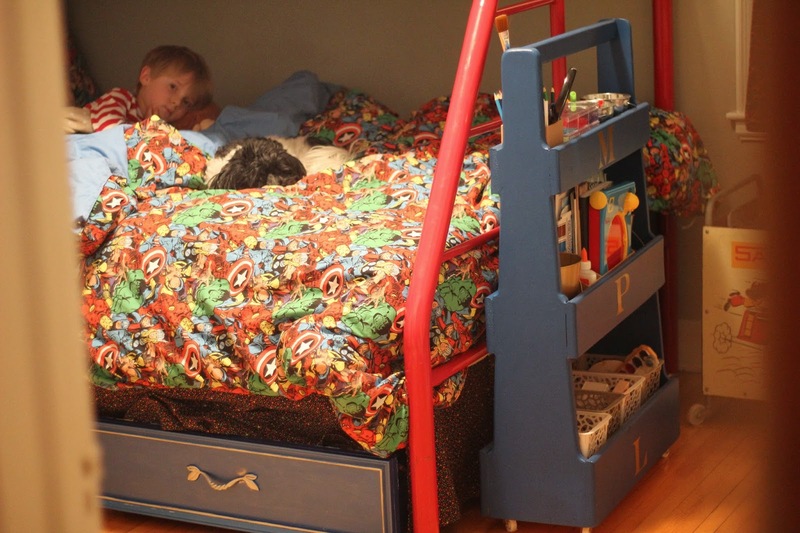 Mur-Man's favorite part was loading the drawer up with his Legos! 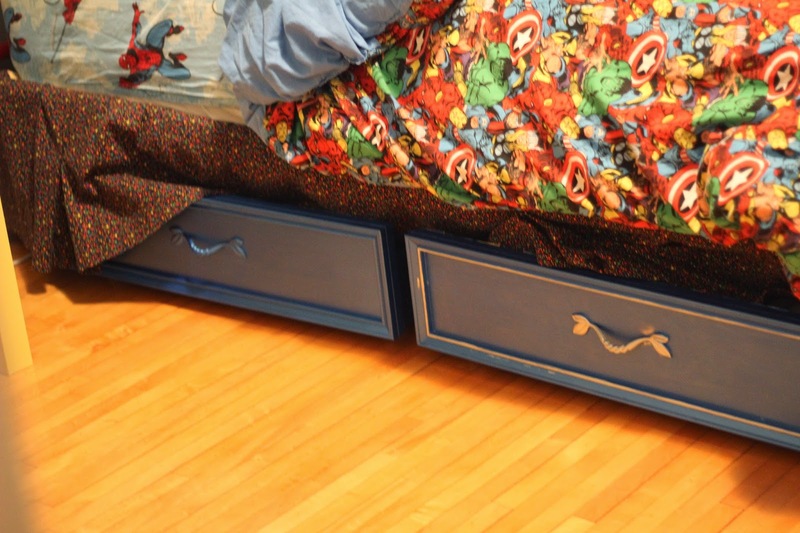 The drawer fits perfectly under the bed (with side by side storage). Mur-Man and Roger all snuggled in!